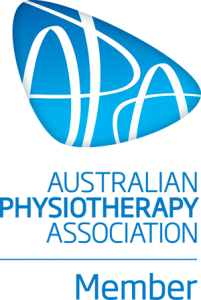 Caboolture Physical Therapy Centre > Blog > Latest News > Tennis Elbow – What is it? Tennis elbow is a condition that affects many people, particularly in middle age, characterized by pain at the outer elbow. Symptoms include pain, occasional swelling and reduced grip strength. Usually the pain begins gradually, noticeable only during activities, then progressively becomes worse. In severe cases, pain might even be experienced at rest. As the muscles involved have the job of stabilizing the wrist and raising the wrist and fingers, this condition can have a huge impact on day-to- day activities. The condition is common with tennis players, but can affect anyone and usually begins after a period of increased activity where strain is put on the tendon and it cannot cope. Tendon tissue has a poor blood supply compared to muscle and during a period of increased activity the tendon sometimes can’t adapt quickly enough. The tendon that attaches the muscles of the forearm to the elbow develops micro-tears and the collagen fibers become disorganized. This degenerating tendon is even worse at absorbing forces and so a painful cycle begins. Many people notice symptoms after a sudden increase in activity, such as a holiday tennis match, a weekend of gardening, or painting the house however not everyone can pinpoint an activity or event. It seems that increased age, poor technique, posture and starting a repetitive activity suddenly without training make developing this condition more likely. For some people, symptoms will resolve with a little rest. For others, more targeted therapy is needed. Latest research has found that a very specific exercise program of eccentric strengthening exercises can be highly effective in treating tennis elbow. Along with analysis of technique and postural factors, which may be aggravating the disorder, eccentric exercises have been shown to help tendon tissue reorganize itself and become stronger. As this is a degenerative condition, treatments such anti inflammatory pills and corticosteroid injection are not always helpful. There are a few medical options for treatment such as shockwave therapy or more recently Platelet Rich Plasma Therapy, which enhances the body’s own ability to heal. For very severe cases, surgery to remove the degenerating tissue has also been shown to be successful. Eccentric exercises are muscular contractions with act alongside another force but control it, or slow it down. For example, when you lower something heavy to the ground instead of letting it fall. It is thought that this type of exercise stimulates the cells of the tendon to align and strengthen, stimulating the healing process. Once the tendon begins to regenerate, other stretching and strengthening exercises can be incorporated. In severe cases where rehabilitation fails, surgery to remove the affected tissue might be recommended usually is successful. As always, every case is different and individual analysis is essential for optimal recovery. Your physiotherapist can perform specific tests in the clinic to confirm the diagnosis and advise you on the best course of action.